After a recent check of my calendar, I realized that I get to make several birthday cakes in the next few weeks. These are fun adventures for me, but I needed some inspiration. I knew I wanted from-scratch layers cakes, but what kinds? I found some beautiful cakes from a few of my favorite bakers. I haven't made any final decisions, but I've narrowed it down to the following lovely creations- my favorite finds. Since none of these gorgeous cakes are mine (darn it), please pin from the original source. 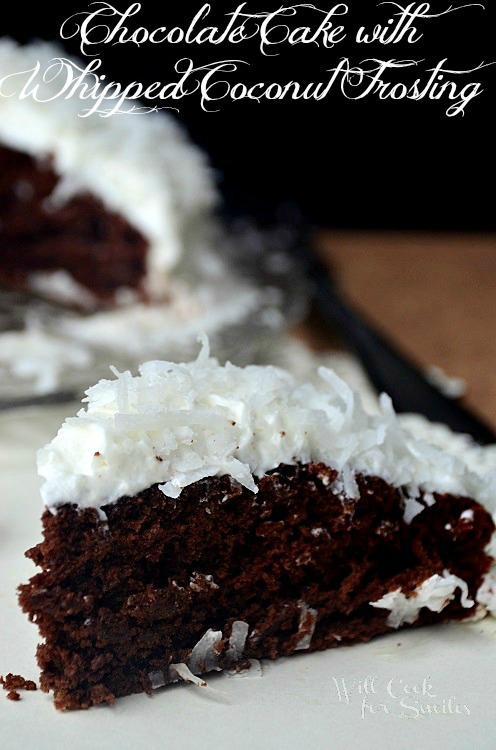 Would you like your rich, dark chocolate cake with some fluffy coconut frosting? Will Cook for Smiles has you covered! 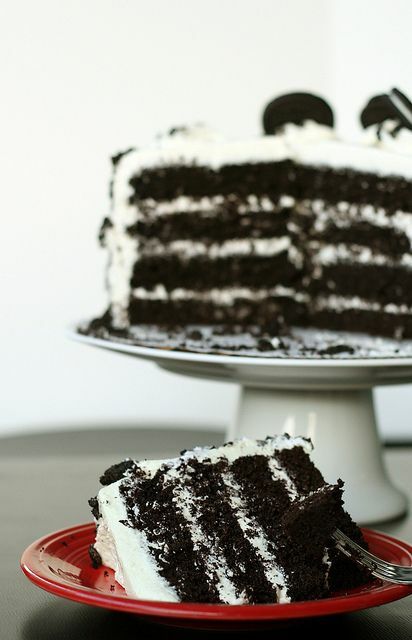 Who wouldn't want a big slice of this four-layer oreo delight by Sunny Side Up? 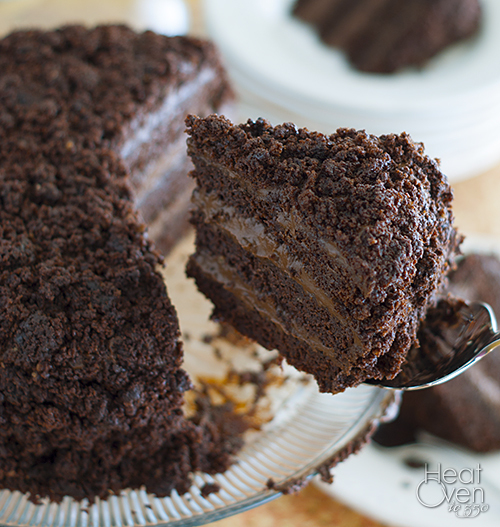 Of course, classic chocolate cake with chocolate frosting is always popular. Sometimes it's fun to think about a different kind of cake for birthdays. My younger daughter's favorite is carrot cake with cream cheese frosting. 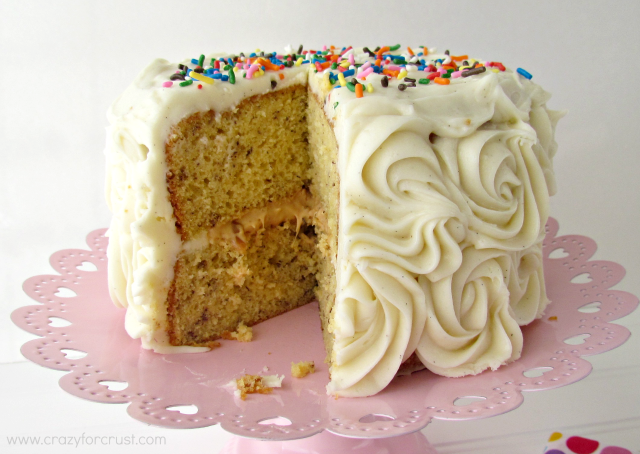 Italian Cream Cake would make a very special birthday cake. 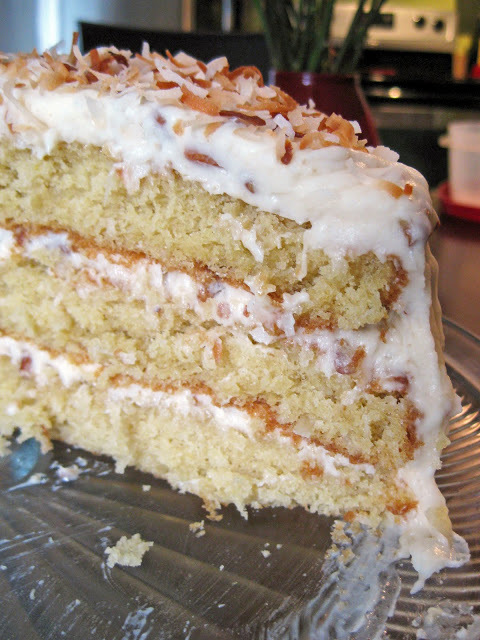 Coconut, pecans and cream cheese? Yes, please, Southern With a Twist. 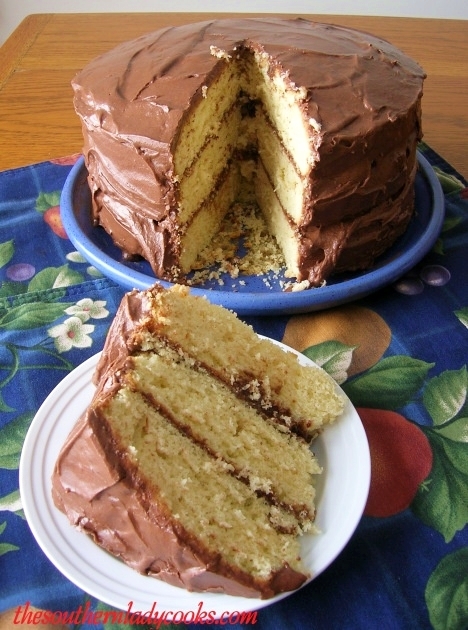 I did consider making my husband's and older daughter's favorite recipe, the always-popular classic yellow cake with chocolate frosting...and this one from The Southern Lady Cooks looks like the ultimate birthday cake, doesn't it? but it's a delicious problem to have. Which ones would you choose? Is your favorite here? and may have been taken to some of these fun parties! It was fun research, Valentina! :) Thanks for your beautiful creation! 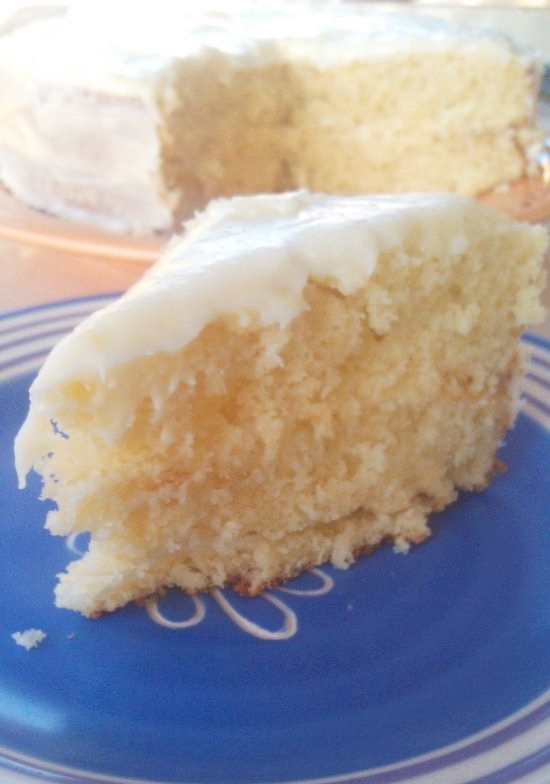 Thank you so much for sharing my cake in this great post. So many beautiful cakes here to choose from. Thank you, and thanks for visiting! You inspire all of us cooks and bakers every single day! Oh Joy...decisions...decisions! They ALL look so fabulous. 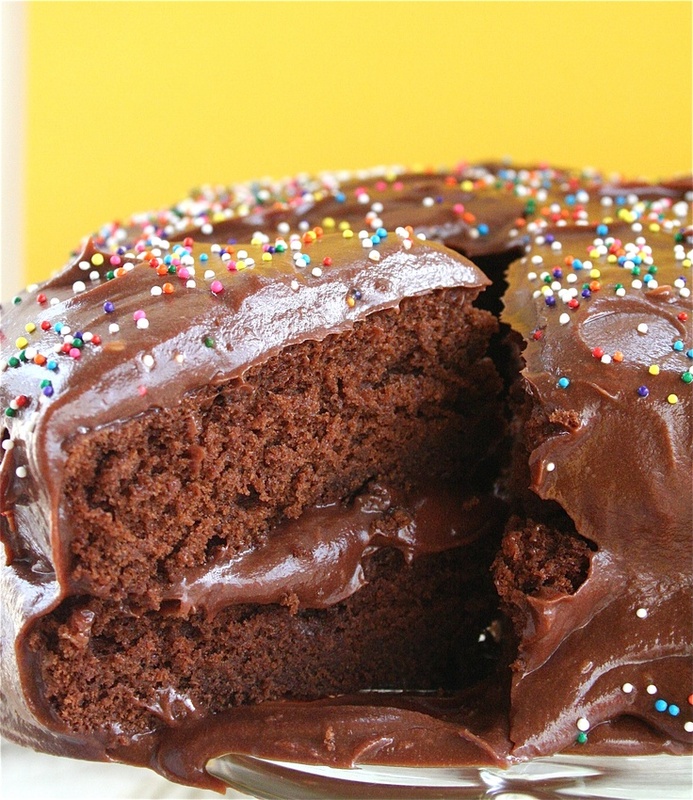 For me, my favorite birthday cake is truly a vanilla cake with a chocolate icing. But as I get older (and older!) I find myself experimenting more! I look forward to seeing what you create....you are such a beautiful baker, I'm sure it will be incredible! And thank you so much for featuring one of mine....you are a gem! These all look so good Joy... First saw this post on google plus and shared it and now on Swap N Share Sunday. My favorite birthday cake has to be angel food cake.. My grandma always made me one for years and years. I think at the beginning she made it from scratch and then from a box. Miss those days. I haven't made a cake for a long time.. You are now inspiring me to make one..
That is some awesome inspiration Joy! I don't know how you will choose, they all look so delicious :) Good Luck! Lisa, don't tell anyone, but I've made my decision....I think I will make ALL of them, lol! Beautiful cakes! So glad to be a party of this collection! Thank you for linking these beautiful cakes, Joy. And thank you for the idea for my son's birthday cake...he loves cookies n cream! 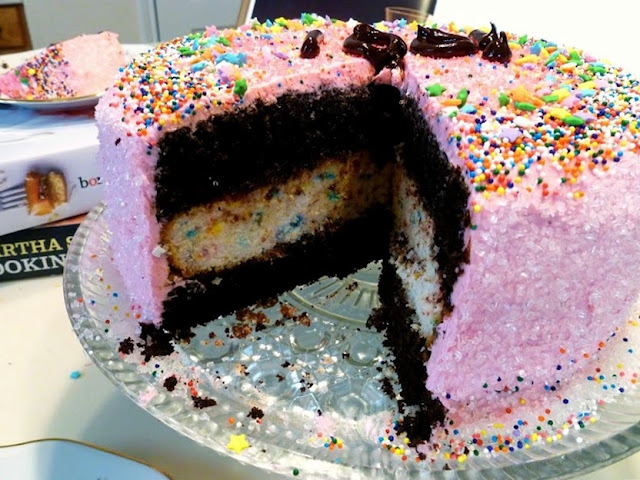 I have my eye on the pink cake from My Sweet Heart. I'm so not a baker though! Michelle, I'm so glad you enjoyed the cakes- and I bet your son will, too! :) Anne @ My Sweet Heart really does beautiful work. Thank you for coming by! I think that carrot cake is my number one! Truly beautiful. This post is "pinning heaven". I'm visiting each site right now! Sinea, I love carrot cake, too! The Fauxmartha will be happy to get your vote! :) I am so glad you're visiting everyone's blogs- they have some wonderful creations. Thank you for the visit! Right? :) Me, too, Debra! Thanks so much for including me in this collection. 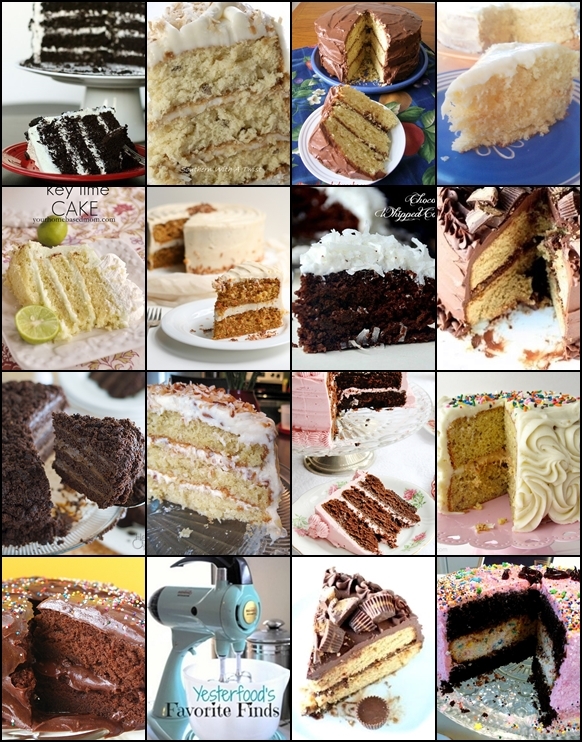 There are some amazingly delicious looking cakes in here. I want to try all of them. i will take one of each. They all look scrumptious. Thanks for sharing with us at My Sweet and Savory. Yes a piece of each would be perfect, please! They all look delicious. I love baking cakes from scratch. You will have to let us know which one(s) you decide to make. It is really special, isn't it? I bet it's delicious, too! :) Thanks for coming by, Jenni! 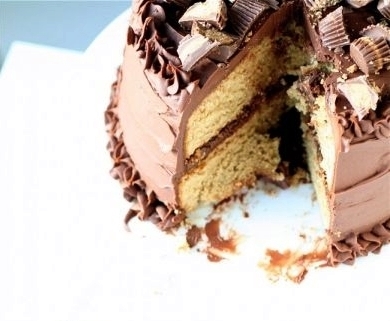 Oh my goodness, these cakes all look absolutely amazing. Comfort food at its best! 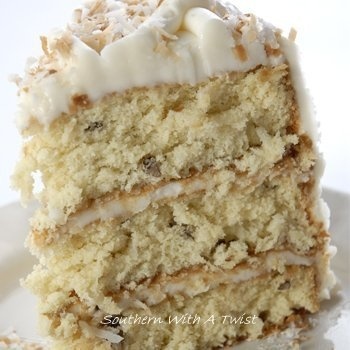 It's so hard to pick a favourite, although I do love coconut, pecans and cream cheese so The Italian Cream Cake is inching ahead in the race :) Thank you for sharing this delicious post with the Hearth and Soul hop. Mmmmmmmmmmmmmmmmmm.... cake! That key lime one looks awesome. I love key lime. Oh, goodness - so many great choices! I think I'd have to go with the carrot cake though. 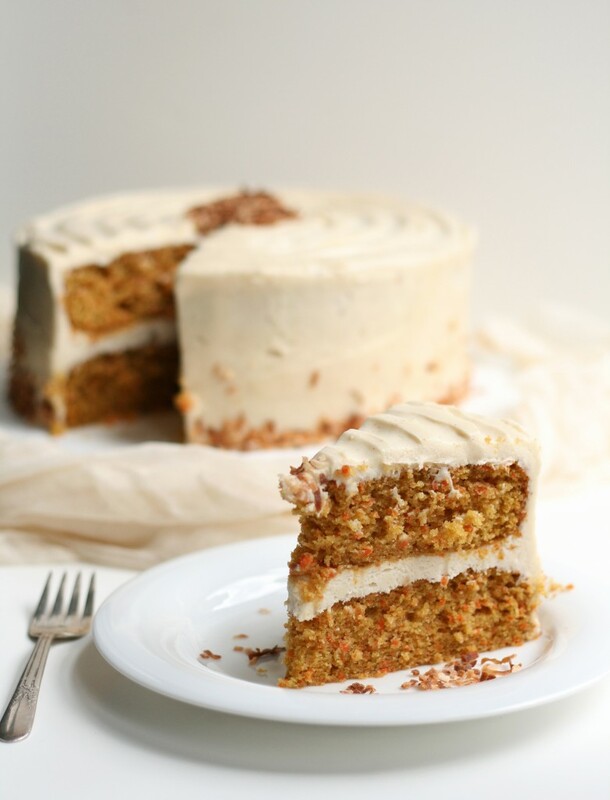 I've always been a fan of carrot cake, but for some reason that's *all* I want this summer! Of course, you can also never go wrong with a chocolate and peanut butter combo :) Happy to have found you through Wonderful Wednesday Blog Hop! Hi Joy! Thank you so much for sharing your amazing birthday cake post at Best of the Weekend! Love having you with us and of course, see you Sunday for Let's Get Social. :) Have a wonderful weekend! G'day and WOW!! Awe inspiring for me today, true! 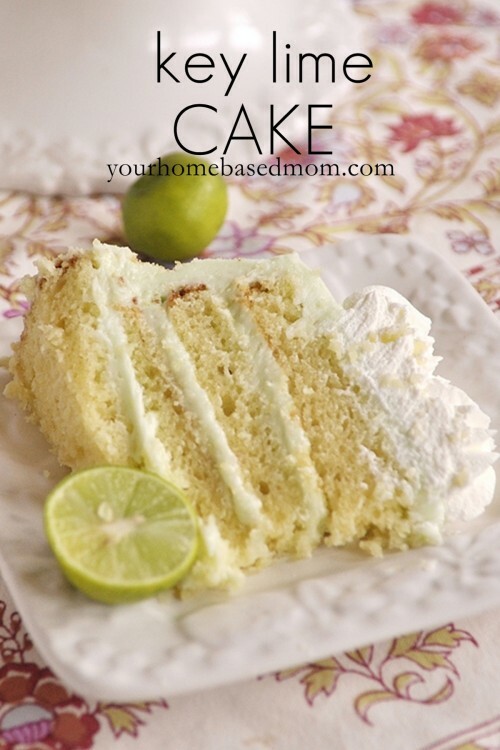 Thanks for sharing these great cake recipes at the Tried and True party. Rhonda, I LOVE the way you think. ;) Thank you for coming by, and I hope the kids have a great first day! They are all very talented bakers, aren't they? :) You son would be so happy with a cake in his favorite flavor, and that Cookies and Cream Cake is a stunner- 4 layers! 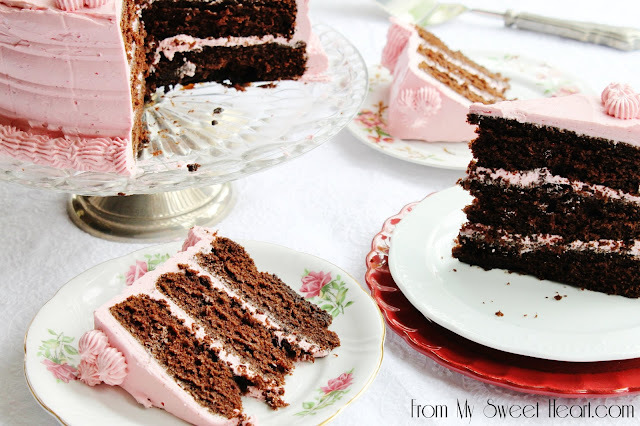 The pink cake: if you haven't visited her website, you should. She bakes beautiful things!